A computer software for composing choreography? Do you know a computer software for composing choreography? Comments for A computer software for composing choreography? There's a computer program for composing choreography called DanceForms. It is an updated version of the software that was originally used by Merce Cunningham and that had the name LifeForms at his time. The software allows you to visualize bodies in motion, into 3D animations. But as with almost all types of software, the creative part is done by you. It will not spare you any work concerning the composition. It might spare you the dancers... which can be good if you don't have colleagues to work with. Just for your information, there's also another program used in the compositional process of dance, but you need to know the system for recording movement developed by Rudolph Laban to be able to use it. It is called Labanwriter and is compatible with Macs only. Just search in the web for it and you'll find it easily. It is downloadable for free. The Labanwriter allows you to write down your choreography in the Laban language (Labanotation). This method works in the same way of the one of musicians, when writing down their common scores. I hope this answers your question. 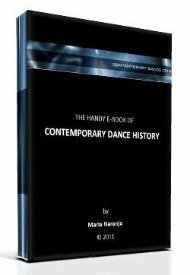 Don't hesitate to come back to contemporary-dance.org with more issues or to participate in any other way!